A delicious elderflower gin made with the award winning The Lakes Gin. Elderflower extract is carefully combined with an eclectic mix of 14 carefully selected botanicals, including Cumbrian juniper, and six others which are native to the Lake District National Park. 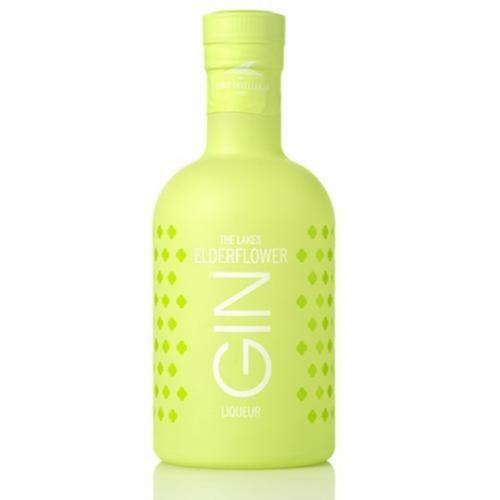 The Lakes Elderflower Gin Liqueur is a vibrant and floral twist on a traditional gin that provides an elegant taste. This beautifully crafted Lakes Gin is distilled in the heart of the Lake District, 6 miles from Keswick. This irresistible spirit delivers a fine balance between those rich tastes of elderflower hints and juniper. The Lakes Elderflower Gin Liqueur comes in a unique green frosted bottle.